Janiuay is a first-class municipality in the province of Iloilo, Philippines. 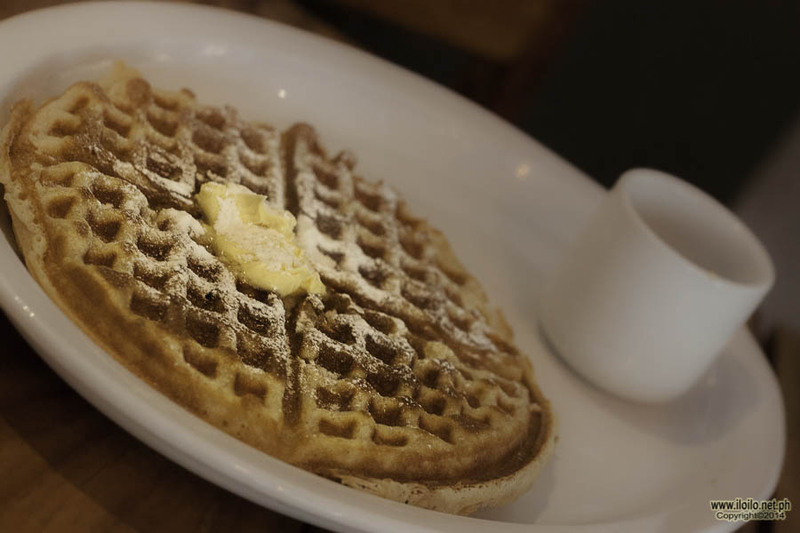 According to the 2010 census, it had a population of 63,031 people. 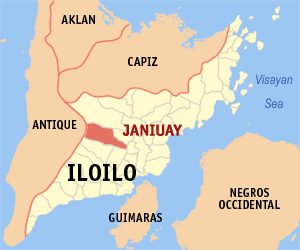 The municipality is located 33 kilometres (21 mi) north-west of Iloilo City. It was created in 1769. Two rivers coming from the north-west cuts in parallel through Janiuay. One is the Suage River and the other is the Magapa River which provide natural irrigation supporting the mainly agricultural town of Janiuay. The Suage river bridge was once witness to fierce fighting between Japanese Imperial forces and the combined Filipino and American troops including the recognized Ilonggo guerrilla fighters. The Magapa river bridge was built after WWII. 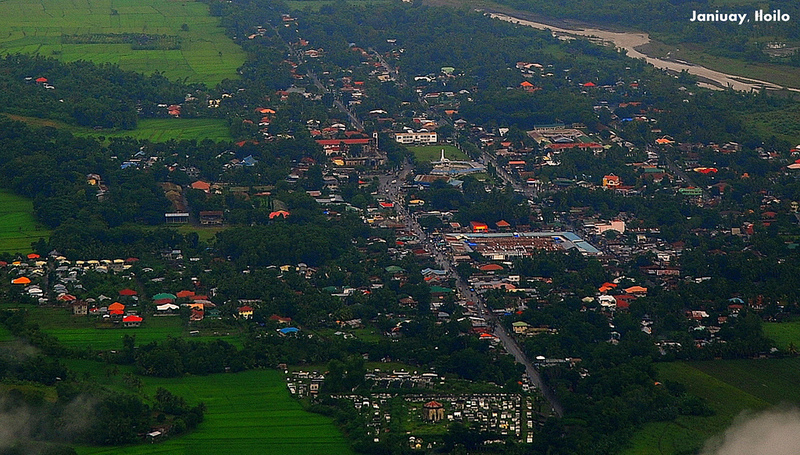 In the summer of 1578, the natives of Tala-ugis trudged up from the coast to establish a settlement northward in the interior along Suage River. 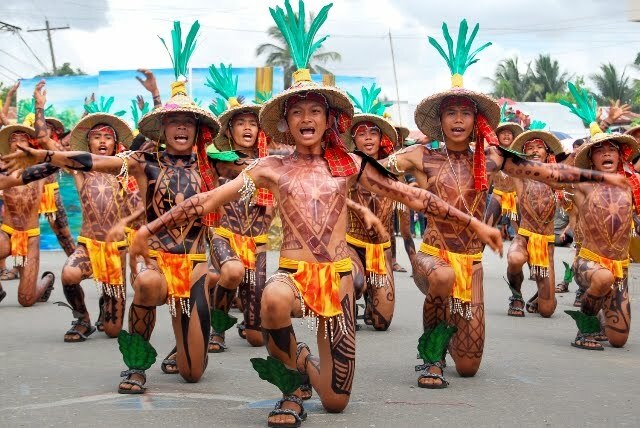 The first settlers were led by families of Gamuk, Hutikon, Uganet and Pagdakton, who settled themselves in what is currently known as barangays Matag-ub, Danao, Yabon and Quipot. 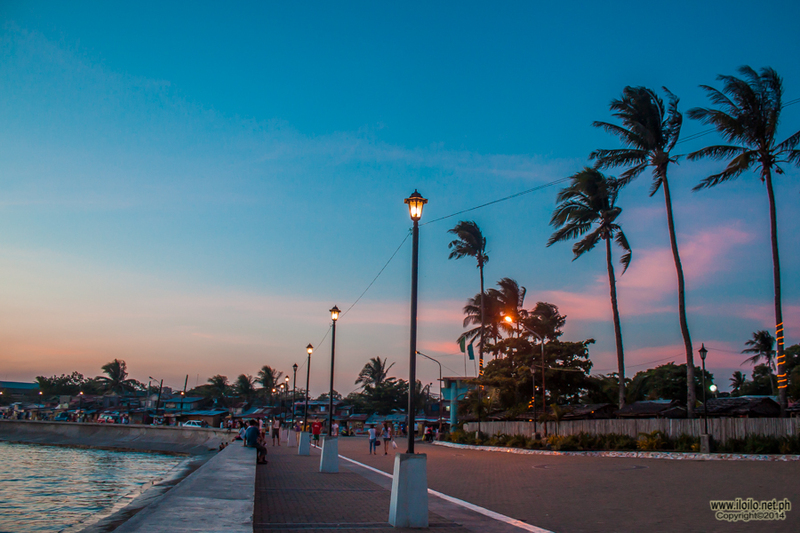 More than a century later, Spaniards came along these parts of Panay. Early in 1738, Datu Buhawi of Yabon recognized the Spanish government, thus subjugating himself and his barangay to Spanish rule. But, Datu Dumagtol of nearby Ubian refused to follow suit. He led his subjects to the mountains to resist against the Spanish colonizers. The Spanish governor Francisco Bayot de Ocampo recommended to the Principalía to transfer the seat of government, and in the following year (1770), the settlements were strengthened in their administration in what they called “Janiuay”. While there is no certainty, there are several legends of how the place got its name. One is that it came from the ruling Datu’s sons named “Han” and “Oway”. Another is that the words “hani” (whisper) and “oway” (rattan) were combined. A strong typhoon followed by heavy rain in June 2008 caused the Suage river to overflow, damaging river bank communities and infrastructures. The flooding caused the river to be re-drawn and encroached the river banks by about 200 meters from its original location. Suage bridge remains structurally sound despite the flooding and encroachment. Cultivation of rice, corn, sugar, copra, coffee, banana, abaca fiber, fowls (and gamefowls), goat and cattle raising are the main sources of livelihood. Commerce for these products are generally brought into the town proper for market. The rainfall generally dictate the commerce of these products as the river go dry in summer months. Most of these are coming from the west, north-west and south-west of the town. Janiuay can be accessed from all directions with good paved concrete and asphalt road infrastructures from the east, north and south. Mode of transport can either be jeeps, motorcycles fitted with cabs for 2-5 persons locally known as tricycles for inter barrangay transport. Intertowns are plied by buses, jeeps and private vans. Within the town, “trysikad” – a bicycle fitted with a cab for 2 people are commonly available. Communication is generally available with nationwide carriers Globelines and Smart competing with local and aging analog Pantelco. Electricity is sourced from electric cooperative Ileco II supplying 75% of the town proper and about 25% of the neighboring barangays. Janiuay prides itself on two heritage infrastructure dating back from 1760. 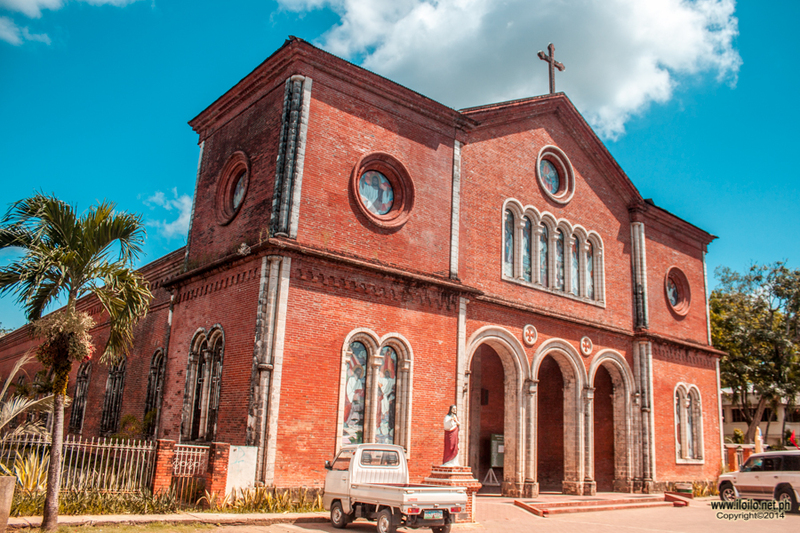 The Janiuay Catholic Church was built of sandstone, lime stone and layered bricks and was completed in February 1770. Its belfry used to carry three magnificent bells, the largest weighing close to a ton. WWII damaged the belfry, and the bells were lowered to ground after the war. The largest bell crashed down during the relocation and suffered a crack 18 inches (460 mm) in length from its lip upwards. When sounded it gives a distinct baritone rattling sound that can be heard for miles. It is now mounted in the new church’s belfry built in the late 60s. Another heritage infrastructure is the Janiuay Cemetery. It was built much later, in 1870, and is also walled with ancient sandstone and bricks brought from distant locale some 30 km away in what is now known as the town of Dingle. Spanish Fr. Llorente directed the construction of this cemetery in the Gothic design of his time. The Janiuay town cemetery is located a kilometer east of Janiuay Catholic Church. 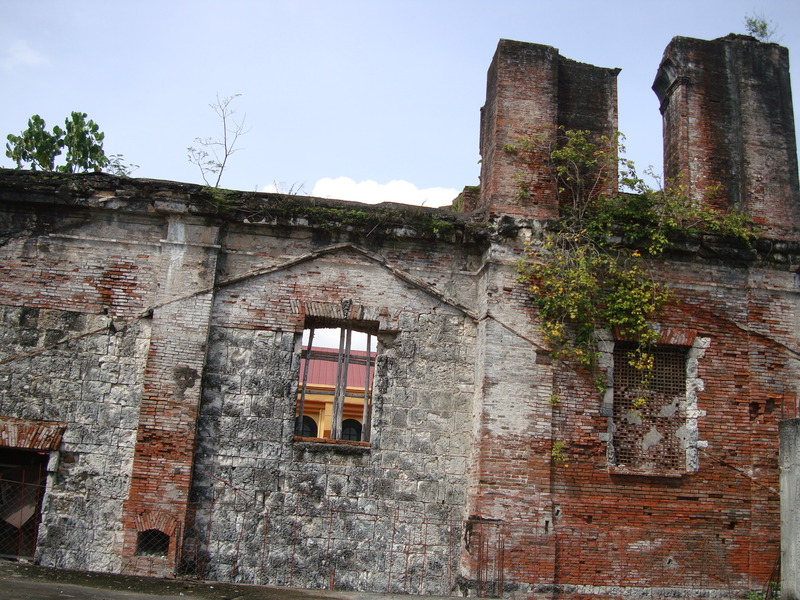 Janiuay is also home to several heritage mini sugar mills owned by landed Spanish mestizos and Swiss descent. These mini sugar mills have seen their own time and once produces brown sugar. Wrought steel rotary crushers driven by water buffaloes or carabaos extract sugar from canes and cooked in large vat until brown and solid. Janiuay Old Prison and Town Hall – Post Hispanic infrastructure with 24-inch-thick (610 mm) walls and wrought iron bars. Janiuay National Vocational School – (Now West Visayas State University – Janiuay Campus) – established before WWII. Janiuay Cattle Market – the only in Iloilo Province. Janiuay Emergency Hospital. Back in operation after Suage river overflow caused by heavy rain and typhoon in June 2008. Camarista House in San Julian St.
Suage River Breakwater – A kilometer long concrete breakwater from Esperanza St. to Aquino Nobleza St.
Calmay Elementary and High School – biggest public school outside and west of Poblacion Janiuay. Bgy. Ubian, Yabon and Quipot – seat of pre-Spanish Janiuay in 1578 to 1760. Moved to its current location on or before 1760 by the Spanish Principalia. About 22 km. west of Janiuay. Quipot Wier – A natural wier located at sito Punong. These are two big massive land mass blocking entry of downstream Suage river to the Janiuay Poblacion and beyond. 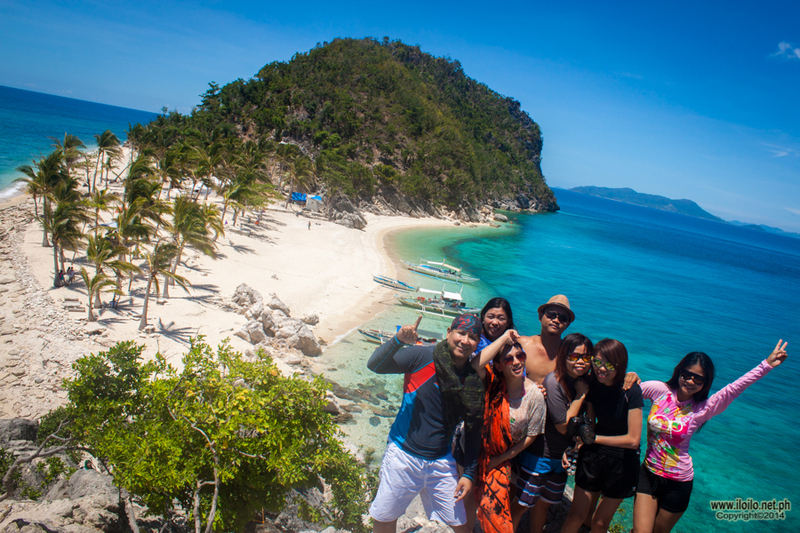 About 22 km west of Poblacion Janiuay. WVA Post Note: The two massive land mass is now covered with sand, soil and debris after the June 2008 heavy rain and typhoon. Two opposing stone boulders seen today are a trace of once the beautiful Quipot Weir playing with the graceful flow of Suage River which can cast its angry might at any moments notice. Barasalon Falls – located in sitio Igbiating. Up inland and about 15 km from Bgy. Yabon. WVA Post Note: Baby falls at both sides started to appear.